When it comes to regularly moving furniture, most people are usually either completely for it or very much against it. It can seem like a huge, unnecessary task when you already have a lot on your plate, but there are actually many good reasons you should regularly rearrange your furniture. A great time of the year to rearrange your furniture is with the change of the season. When the sun starts streaming through your windows as spring and summer come round, you may start to notice new things about your room and see worn areas of the carpet or stains. As the autumn and winter months creep in, you may want to have more cosy nights spent in front of the TV and entertain friends, rather than go out in the cold to a restaurant. Move your furniture around to create a cosy space that supports conversation or just rearrange your sofas to hide any faded material and stains highlighted by the sun. It’s important to have a good layout in your room, so that people can easily walk around without coming to a dead end. We are creatures of habit and often find it hard to move things from their original place, but moving a sofa or chair could actually make a world of difference to your room. Think about the function of your room and what you are going to use it for. Decide on a focal point, and prioritise larger pieces of furniture first, then work on your symmetry. Consider the amount of traffic that will go through the room and whether there is a clear flow or not. You may clean your home regularly and think it looks spotless, but as large and heavy pieces of furniture rarely get moved they can become clutter magnets and result in dusty, hard to reach areas. Moving your furniture around allows you to really get into every nook and cranny, and give your room a really good clean. You may even discover a set of keys or a book that you lost months ago under the sofa. If you have a relatively small room, the way you position the furniture can have a huge impact on how spacious it feels. Don’t put more furniture than you need in your room, and try to avoid building up any clutter. Bookshelves may look nice, for example, but unless you desperately need somewhere to store your excess books, then it will just end up taking up more room. Try and position your furniture to create at least one wide open space in the room, and make sure people won’t walk into the room and straight into the back of a piece of furniture – this will make a room feel very cramped. 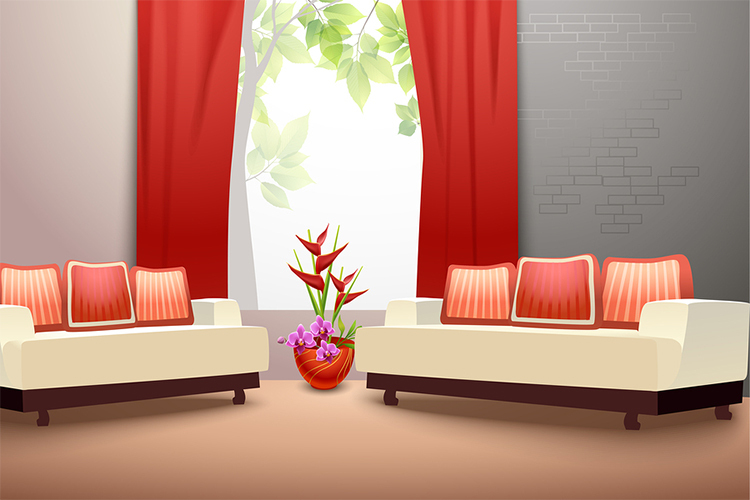 Position your sofas 3 or 4 inches away from the wall, as this will give the illusion that there is more space than there actually is. Change is good, and moving your furniture around can actually give it a whole new lease of life and help you appreciate your home in way you haven’t done for a while.